Today, I will be showing you my first ever Pictorial! I will you telling you on the steps to go about doing it, along with some tips and where to buy the products that would make your stamping journey easier! I've heard from some people that they are often discouraged from stamping due to various reasons such as the image plate doesn't come out well or the stamped image isn't at an ideal spot. However, I'm here to tell you that all those worries, will be gone with more practice. Stamping is extremely fun to do, it allows you almost instantly beautify your plain manicure into one that allows others to go "WOW!". I have done stamping a few times now, and have gotten the hack of how stamping is. However it does takes patience in order to master this well. So never give up! Just keep trying until you are able to successfully stamp your images well! For Instagram friendly, I have a condensed photo, just for you! 1. Items needed for stamping! 2. Apply your base coat, 2 coats of base color and a fast drying top coat. By using a fast drying top coat on your base color, it will reduce the waiting time by more than half. 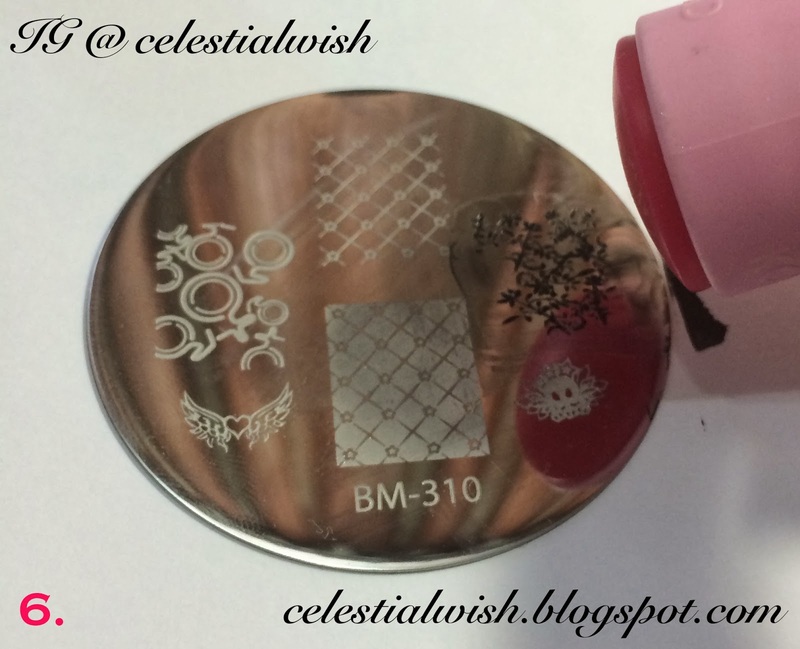 In order for you to stamp, your base color has to be 100% dry before you can start stamping. 3. Decide on which image on the image plate you would like to use. This is Bundle Monster's BM310 from their 2012 Collection. 4. 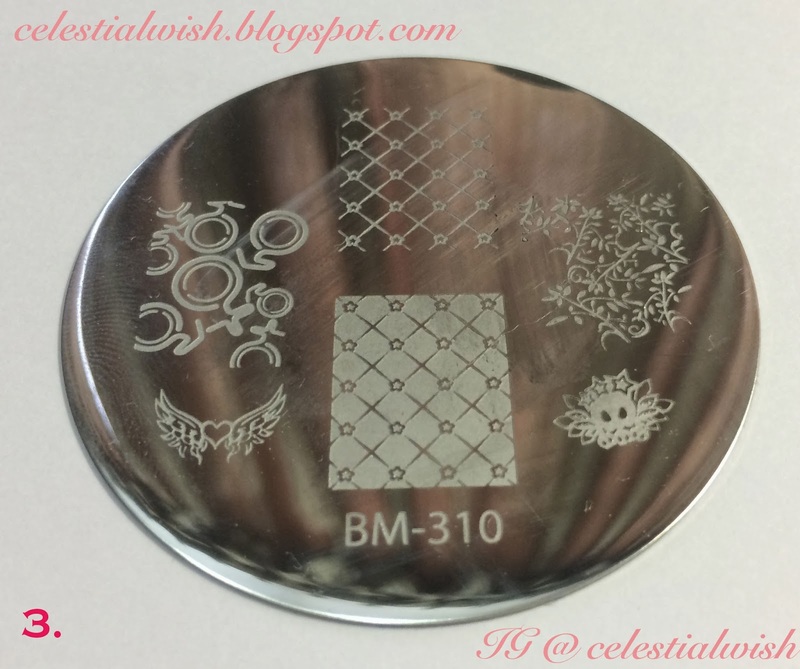 Apply some stamping polish on one side of the image you would like to use. I am using Konad Black Stamping Polish, however if you find this polish too expensive you can always opt for alternatives. 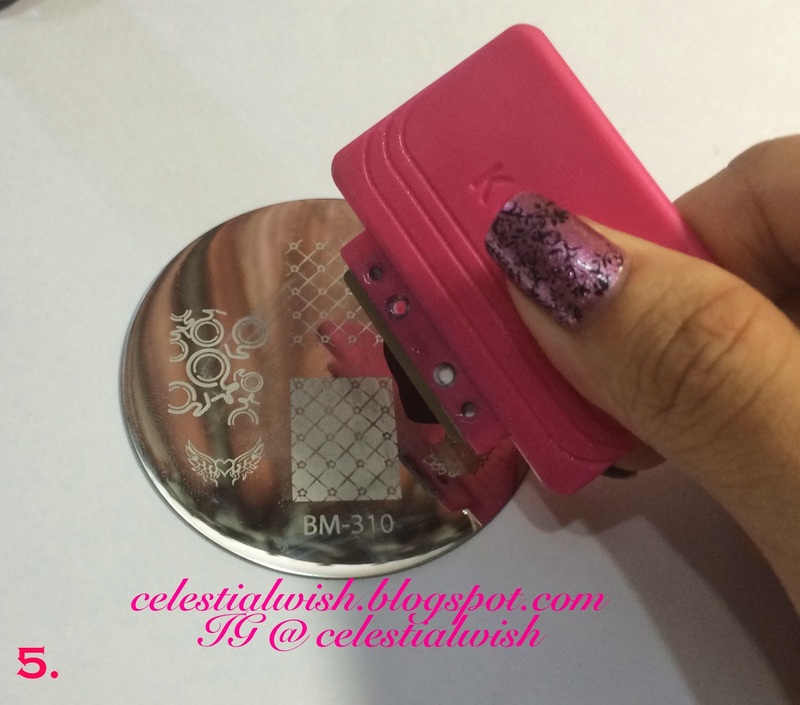 You can use your older polishes that has thickened up which will save in buying this special stamping polish! Note that from this step onwards, you will need to carry out Steps 5,6,7,8 fast to ensure that the polish does not dries up during the process and results in you being unable to proceed with your nail stamping. 5. Scrap the polish towards the side of the image you would like to use, the excess polish should be scrapped off onto the piece of paper or paper towel. 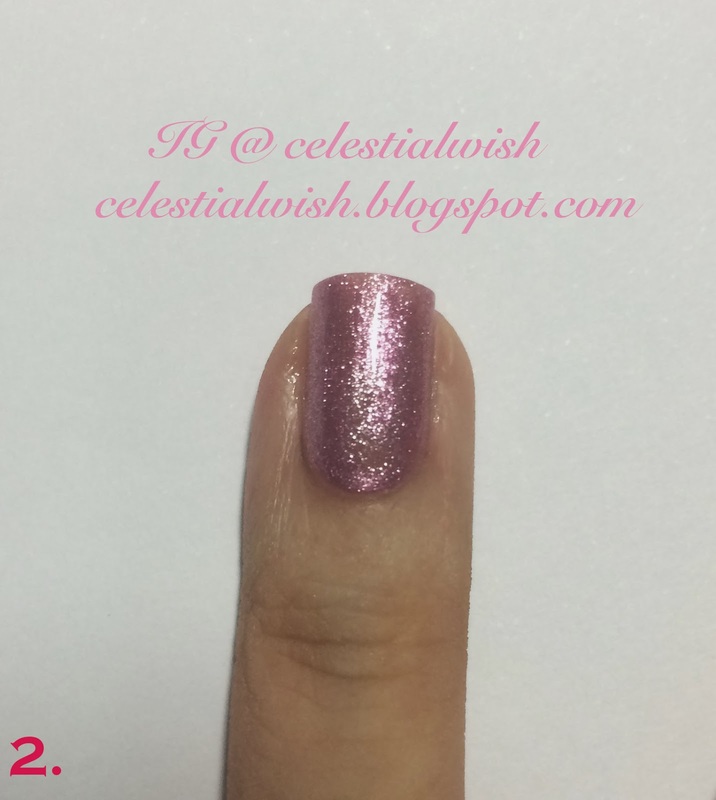 This step is important to ensure that when you pick the image, the excess polish does not get picked up too. This will ruin your outcome of your nail stamping. 6. Pick up the image with the stamper in a rolling motion. Ensuring that the stamper covers all area that you wish the image is to be picked up. Do not apply too much pressure when you pick the image up or you might smudge the image too! Also, do not go back and forth in trying to pick up the entire image. This will ruin your picked up image. This is how your picked up image will be on the stamper. 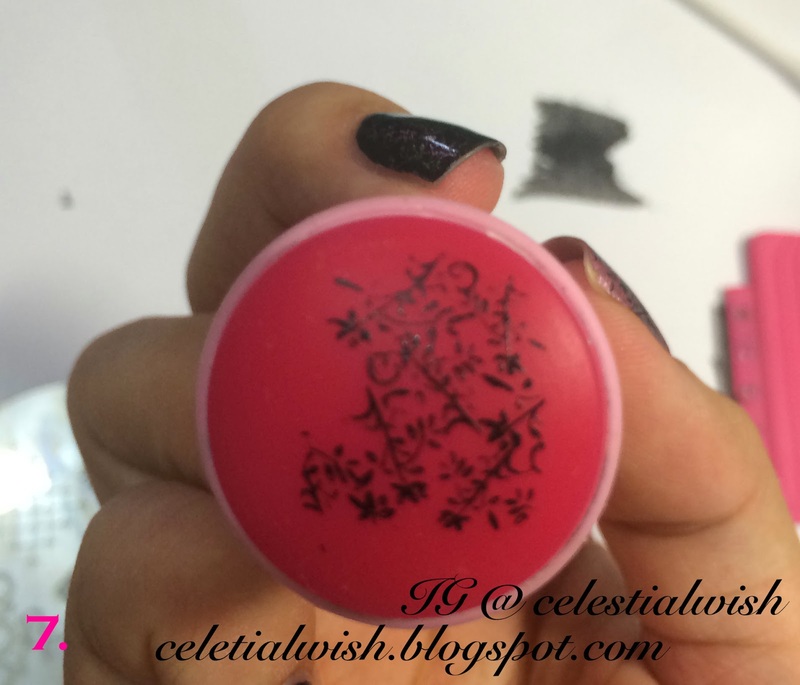 With this, stamp the image onto your nail in the same rolling method. Ensure that your stamper is aligned to the angle that you want it to be, for the image to be stamped to your liking. In a case where the excess polish is visbile on the stamper, simply use a brush/ Q-tip dipped in pure acetone or any nail polish remover to clean up the unwanted polish. 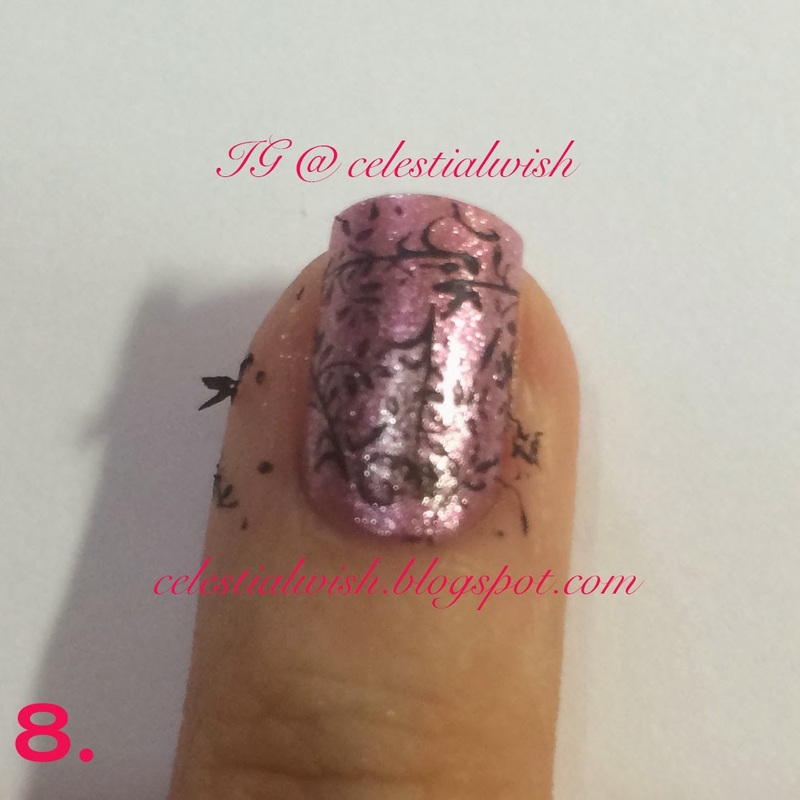 After stamping the image, the sides of the nail will also get some of the image. Therefore, you will need to use either a brush or a Q-tip dipped in Pure Acetone or any nail polish remover to clean up the sides. After cleaning up, you can apply a top coat to seal the design in. 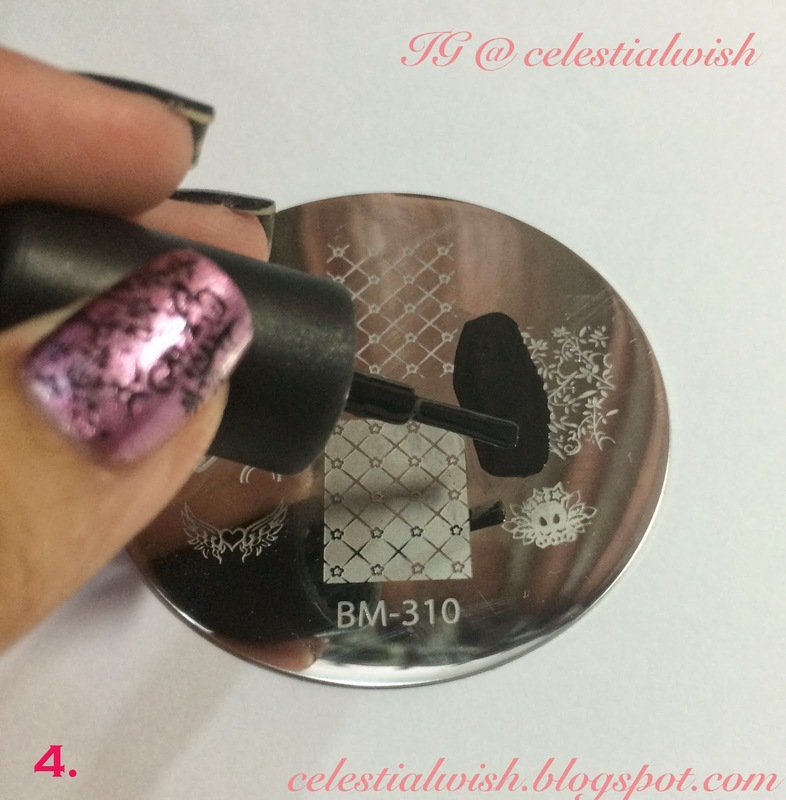 Please ensure that the top coat used is stamping friendly! If not your image will get smeared. For me, Glisten & Glow's HK Girl works extremely well! It does not smears my image even when I immediately it over. My end result of stamping using Color Club's Foil Me Once, OPI's Black Onyx and some Konad Black Stamping Polish. Important: After each stamp, please remember to clean your stamper, scrapper and image plate with pure acetone to ensure that the image will come out nicely for the next stamp. Follow me on GFC, Bloglovin', Facebook, Instagram, Pinterest! Check out the right column on my blog for the buttons!